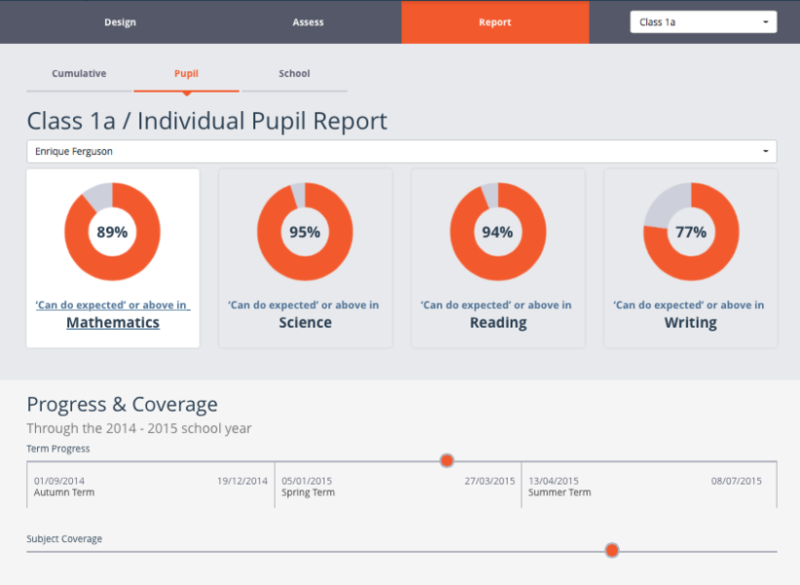 Ahead of the new national curriculum launching in UK schools in September 2014, we were asked to develop a digital platform to support teachers with curriculum design, assessment and reporting as they begin to assess without levels. This is a significant time of change for schools, and it was important we involved teachers and senior leaders in the design of Trace. Working with one of our key educational partners, Services for Education, we took Trace through from an initial concept through to technical development and design. 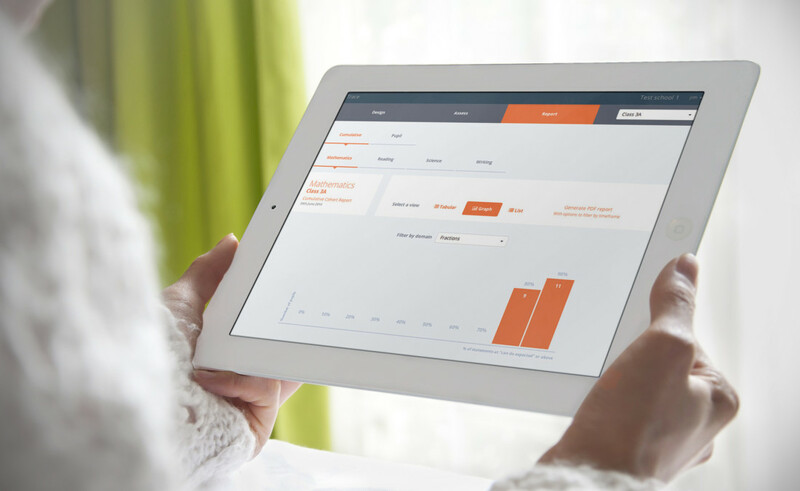 This included user experience development, running user workshops, developing brand name and design principles, user interface design and the management of the technical build and user testing. 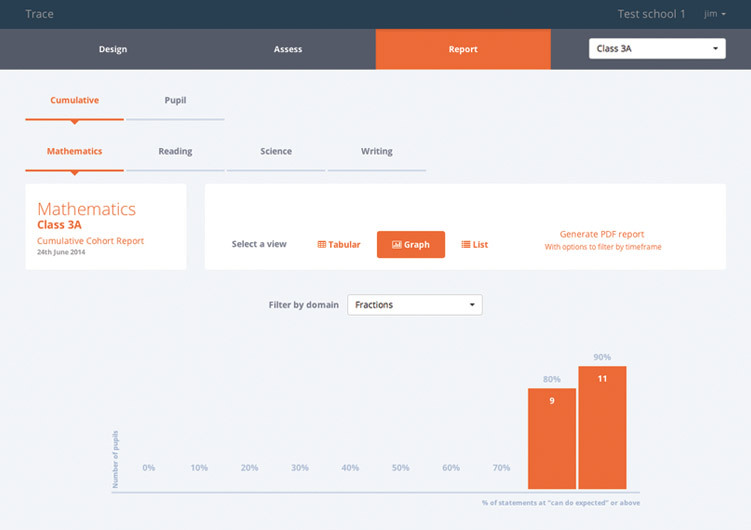 Built by technical partners Substrakt, Trace is an online browser based platform that supports learning, teaching and monitoring pupil progress as teachers assess without levels in the new national curriculum. We ran several workshops at different stages of the project to gather information and understanding direct from teachers on the ground, gain critical feedback on the platform development as well as test the features and functionality. Trace is a new innovative online platform, with circa 350 users since it’s launch in September 2014. We are now working in partnership with Services for Education to commercialise the platform, including the marketing and sales, as well as the delivery of promotional and training workshops to schools. Working with Ammba to develop Trace has been a real success. The knowledge, expertise and understanding from all the team has enabled us to move at a very fast pace with this. The level of commitment has been outstanding, as has the ongoing support for the users of Trace. All of the team are innovative as well as responsive to our needs. Their personal and professional approach has been the key to the implementation of Trace.